Check out Tobi's Sweetly Scalloped Dress Sippin' bubbly, livin' lovely in the Blue Sweetly Scalloped Shift Dress. This divine scalloped hem mini dress drapes loosely for any casual occasion you'll be attending. 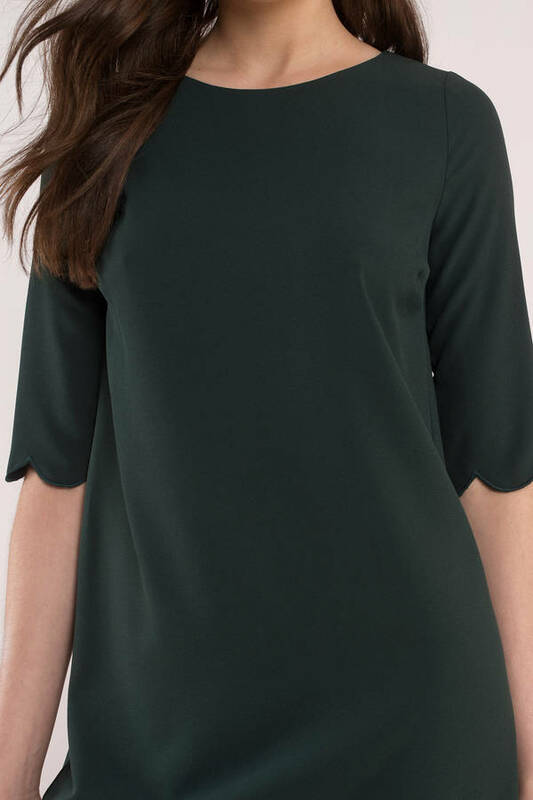 With chic half length sleeves, you'll want one in every color, but can we draw your attention to the the black, burgundy and beautiful green dress for fall. Sippin' bubbly, livin' lovely in the Black Sweetly Scalloped Shift Dress. 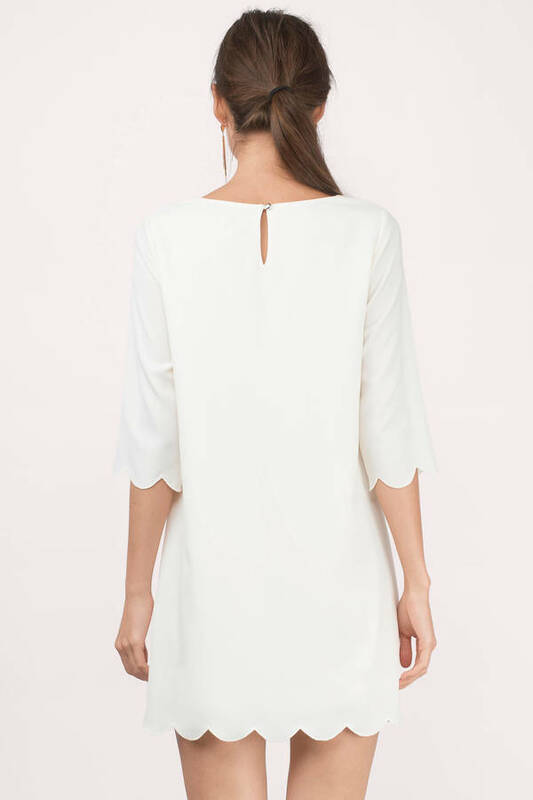 This divine scalloped hem mini dress drapes loosely for any casual occasion you'll be attending. With chic half length sleeves, you'll want one in every color, but can we draw your attention to the the black, burgundy and beautiful green dress for fall. Sippin' bubbly, livin' lovely in the Emerald Sweetly Scalloped Shift Dress. This divine scalloped hem mini dress drapes loosely for any casual occasion you'll be attending. With chic half length sleeves, you'll want one in every color, but can we draw your attention to the the black, burgundy and beautiful green dress for fall. Sippin' bubbly, livin' lovely in the Wine Sweetly Scalloped Shift Dress. This divine scalloped hem mini dress drapes loosely for any casual occasion you'll be attending. With chic half length sleeves, you'll want one in every color, but can we draw your attention to the the black, burgundy and beautiful green dress for fall. Sippin' bubbly, livin' lovely in the Blush Sweetly Scalloped Shift Dress. This divine scalloped hem mini dress drapes loosely for any casual occasion you'll be attending. With chic half length sleeves, you'll want one in every color, but can we draw your attention to the the black, burgundy and beautiful green dress for fall. Sippin' bubbly, livin' lovely in the Blue Sweetly Scalloped Shift Dress. This divine scalloped hem mini dress drapes loosely for any casual occasion you'll be attending. With chic half length sleeves, you'll want one in every color, but can we draw your attention to the the black, burgundy and beautiful green dress for fall. Sippin' bubbly, livin' lovely in the Lilac Sweetly Scalloped Shift Dress. This divine scalloped hem mini dress drapes loosely for any casual occasion you'll be attending. With chic half length sleeves, you'll want one in every color, but can we draw your attention to the the black, burgundy and beautiful green dress for fall. Sippin' bubbly, livin' lovely in the Rose Sweetly Scalloped Shift Dress. This divine scalloped hem mini dress drapes loosely for any casual occasion you'll be attending. With chic half length sleeves, you'll want one in every color, but can we draw your attention to the the black, burgundy and beautiful green dress for fall. Sippin' bubbly, livin' lovely in the Cream Sweetly Scalloped Shift Dress. This divine scalloped hem mini dress drapes loosely for any casual occasion you'll be attending. 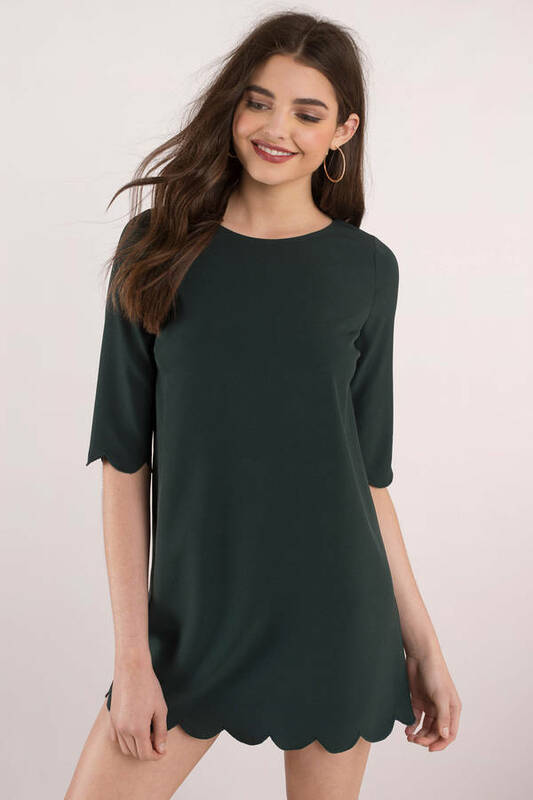 With chic half length sleeves, you'll want one in every color, but can we draw your attention to the the black, burgundy and beautiful green dress for fall. Blush, Cream, Lilac modeled on a size Small.